Sir – Both the late Malcolm Fraser and Paul Keating have broken ranks with their political parties, Liberal and Labor, urging Australians to reconsider the ANZUS Alliance. Donald Trump will become President of the United States of America tomorrow. He has nominated Rex Tillerson as Secretary of State and General James Mattis as Defence Secretary. These men are making alarming statements which may threaten war with nuclear armed China and Russia. Recently the USA has moved tanks and military personnel into Europe to be stationed on the border with Russia which can only be considered a provocative act. Paul Keating warns that Mr Tillerson is calling on Australia as an alliance partner, to support a marine blockade of the South China Sea islands to which China lays claim. This is dangerous brinkmanship and we only have our subservient Australian political leadership of the past 16 years to blame. IPAN supports former Prime Minister, Paul Keating, when he says: “We should tell the new US administration from the get-go that Australia will not be part of such adventurism, just as we should have done on Iraq 15 years ago. Independent and Peaceful Australia Network (which last year staged an anti-Pine Gap protest). Well not much interest here from anyone, Trevor, I haven’t seen the mess left behind but I can imagine what they did: Caused problems, as in delaying my son going about his lawful work one morning, couldn’t have cared less about him! They seem to come in, cause as much of a problem as they can and leave to the next protest, which they forget it seems is possible due to the selfless acts of previous generations to keep this country free. By the way I deplore any form of war, aggression, right down to school yard bullies. 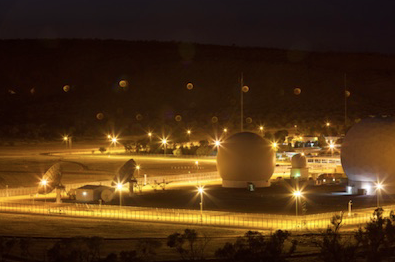 Dr Bionowski and her colleagues need to realise that Pine Gap is the only real bargaining chip we have in our negotiations with the new US administration. We are irrelevant in the psyche of Americans but we do control the key to their early warning system. Grow up and accept reality! If the claims of the peace activists begin by cleaning up our own backyard can I suggest that they look at cleaning up the huge mess they left behind at their camp behind the Transport Hall of Fame? After seeing this can they really be taken seriously if that’s as much as they care for their own country? I would like to add one further comment to the comments I made below. Take with a grain of salt the drumbeats, but always, always, follow the money. I have read that Exxon Mobil has drilling partnerships with firms in Viet Nam and the Philippines to drill for hydrocarbons in the South China Sea. If true, then of course the new US Secretary of State is threatening a blockade of China’s moves in that sea. He is, after all, Mr. Exxon Mobil. But what if China agrees to a partnership with Exxon Mobil to drill for those hydrocarbons in that sea? If they do, and why wouldn’t they as it would be a smart move, then this jockeying for position just to the north of us will disappear over night. I hope it goes down this way or some way similar, because China is not about to retreat in the face of US aggression, with or without Australia’s backing. As to the larger issue, yes, Australia needs to take a good hard look at its uncritical subservience to US dictats.